Be fit. Be healthy. Be ready. Sport Check provides all sports equipment for perfect pricing. Get 10% off a future purchase when you submit your mail, free shipping every corner of Canada and free in store returns. They know what they are doing. Welcome to Canada’s fitness store now. For men, women and kids varieties are wide and all products made by high quality material. For maximum performance, athletic clothes are really important. Adidas, Athos, Bauer, Cobra, Nike and Puma products available on for maximum performance. With different colors these apparels will increase your performance perfectly. Not only clothing, you can also find electronics and equipment for good reason. 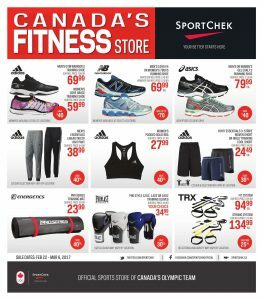 Don’t forget browsing current Sport Chek Flyer ! 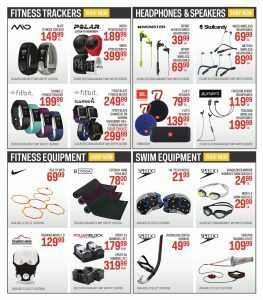 These are the best deals on today’s flyer, but be sure to check out this flyer for more ! And please subscribe our news teller for more deals and daily flyer on countless retailers. See you next time !